Instant regional training center. Here is a great idea for those of you with an extra $20,000 lying around. 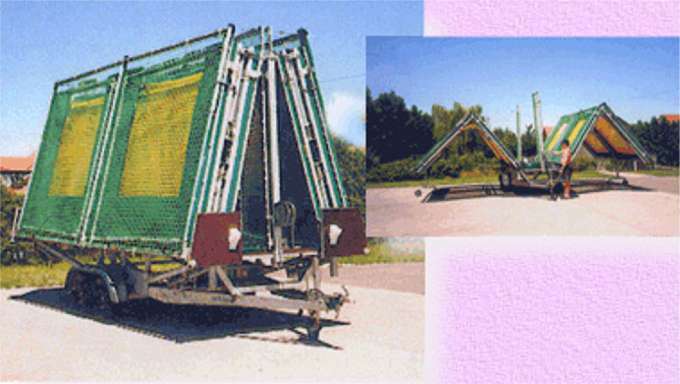 Eight connected portable trampolines and trailer. Park, unfold and you are ready to go.